To Donald Trump, the world is made up of only two sorts of people, or nations: strong winners whom others respect and fear, and weak losers whom others exploit and laugh at. “At what point does America get demeaned? At what point do they start laughing at us, as a country?” Trump asked during his major announcement from the White House Rose Garden that the US would be withdrawing from the Paris climate agreement. For Trump, there is no such thing as collaboration for mutual gain. Similarly, social insurance is a con. Billionaires can be trusted because they’ve already made their money – presumably by out-exploiting others. 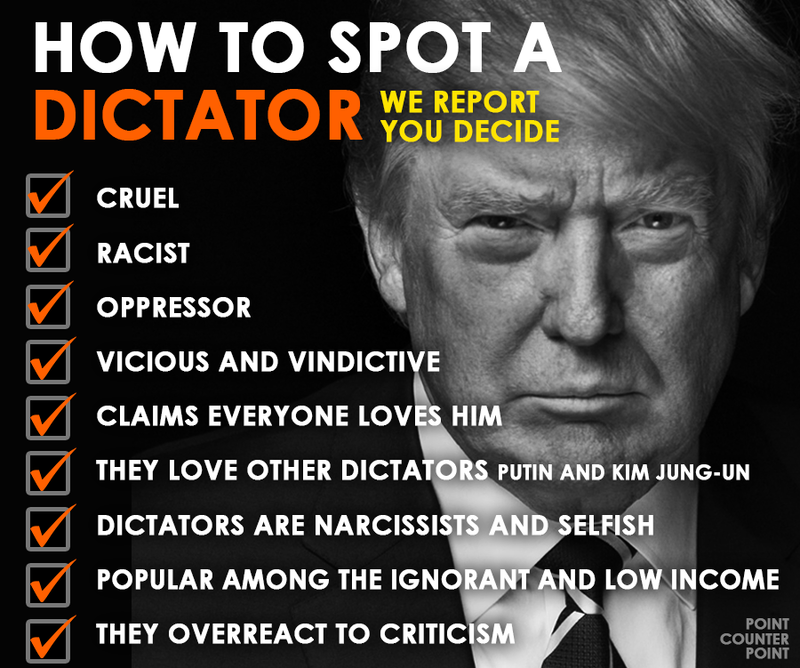 Dictators are admirable because they’re respected and feared. But democratically-elected prime ministers and presidents need to be shown who’s boss – their hands grabbed in white-knuckled contests of dominance, their bodies shoved aside if they get out in front. And treaties and compacts need to be renegotiated so America wins. It’s the same at home: Political opponents must be humiliated, White House staffers demeaned (even the Vice President shown his place), the press degraded, recalcitrant judges debased, others intimidated. Everything is a giant zero-sum game in which either you win and they lose, or they win and you lose. And if they dare put up a fight, you get even. This is the personality of a sociopath. Trump is now the single most powerful person on the planet, with the ability to order the destruction of the world in just over four minutes. It is necessary to get him out of the White House, peacefully and legally, as quickly as possible.